So you've decided to place your home on the market. I'll bet you have a strong emotional attachment to your home to go along with a lot of fond memories of the inside of those walls. It'll be tough letting those memories go, but life moves on and so do our homes. I understand that your home means a lot to you and I know that you'd like to obtain the highest price possible in the shortest amount of time while your home is on the market. Let me explain how you can easily obtain your full asking price for your Massachusetts home. The biggest mistake that most Sellers often make is waiting for the Buyers home inspection day to assess the condition of their home. One of the main reasons that home purchase transactions fall apart is due to defects that materialize during the course of the Buyers home inspection. Every Buyer has a personal perspective as to which types of defects constitute deal breakers. Some Buyers are not deterred by issues as large as major foundation cracks, while others will run from seemingly routine disclosures. Some walk away at the mere mention of asbestos in the basement or suspect lead paint in the house, while others find these to be no big deal. Some expect a Seller to repair every little nit picky detail, including squeaky floors, while others are willing to buy As-Is. Why wait until the last minute to see what type of Buyer is interested in your home. Allow Massachusetts Home Inspections to assist you in obtaining the highest price in the shortest time by helping you turn your home into a Buyer friendly home. Virtually every home will benefit from my pre-sale makeover, because the information I will be supplying you (in advance) is helpful, so you'll be in a favorable negotiating position when the offer does come in. It'll allow you to negotiate from a position of strength. Information (about your home) is power in a successful property transaction. What happens when your home is not prepared as a Buyer friendly home? The Buyers home inspection may contain issues that could be detrimental to the sale of your home. Ideally, both yourself and the Buyer usually work together to resolve any serious issues that may arise, but it's not always that easy. Convincing the Buyer(s) (at this point in time) that their concerns will be quickly corrected by the closing date may be difficult. Then convincing yourself to act quickly to correct any major issues is also very difficult. The Buyer is now requesting a discount in your listing price. The sale is now in jeopardy and the deal may come to a screeching halt, which ultimately causes you to sell the house a second time to the next Buyer that comes along. Now the home inspection process starts all over again. Finally, there is one secret all Sellers need to know. Buyers make their decision to purchase a home based on emotion and they justify that decision with logic. And another thing is equally true: Buyer’s can fall out of love with a home just as quickly as they fell in love it. So why let the Buyer’s Inspector develop a long list of items needing repair thereby jeopardizing the sale of your home? Before you decide to place your Massachusetts home on the market, take a more proactive approach and allow me to assist you in getting your home to stand out in the crowd amongst other homes in this competitive market. You may as well find out (now) what the Buyers Home Inspector is going to find, by getting Massachusetts Home Inspections in there first. I'll give you a better understanding of your existing conditions which may be discovered by the Buyer's Inspector. I'll educate you on the present physical condition of your home and identify those problem areas and safety issues that need your attention now. I'll identify those crucial areas that typical home buyers tend to negotiate over and the expensive items that usually make a Real Estate sale fall apart. Upgrading or fixing these issues will prevent any problems from occurring at the "eleventh hour" before the transaction closes. My inspection is going to be your insurance policy for a smooth and speedy transaction and it will assist you in obtaining full list price for your home. It also shows good faith in carrying out the disclosure requirements. It communicates to the Buyer that you (the Seller) are willing to disclose all shortcomings, thereby paving the way for smoother, more agreeable negotiations. You will then go over my findings and have plenty of time to make the repairs and improvements on your own terms and budget, with plenty of time to spare. Knowing about the problem now will save you thousands by simply being able to shop around and get competitive bids from licensed contractors rather than being forced into paying for a rush job by unqualified contractors at the last minute. Upgrading and repairing those defects now will put the house in better selling condition and prevent Buyers from negotiating over every little issue. It also reduces negotiable items in the sale and shows prospective Buyers you've shown initiative in trying to avoid sticking points. HOME SELLER TIP - If you do not plan on repairing defects for the sale, consider contacting reputable contractors (in your area) to provide you with their repair estimates for any significant defects that are noted in your Pre-Sale inspection report. Inexperienced home Buyers often have no idea how much it will cost to replace a roof, remove asbestos from their heating system or treat for Termites. Fear of the unknown is intimidating, so enclose all reasonable estimates in your Pre-Sale inspection report. This may absolutely assuage the Buyer's concern. After preparing your home, you can now sit back, relax and enjoy reduced liability and less negotiating because fewer problems will be discovered by the Buyer's Inspector. A proactive disclosure, in many cases, is met with appreciation on the part of the prospective Buyer; and it's not likely to kill the deal. If you disclose certain defective items "as is" and stipulating that they are reflected in the purchase price, Buyers become aware of the condition of the house before an offer is even made. There will not be any surprises and the deal is far from falling apart. If the problem is unveiled later, however, prospective Buyers are likely to think that you tried to deceive them. Most of the time, you had no prior knowledge that the problem even existed. You should have all the information needed to help make your selling transaction less frustrating and to function more smoothly. Lastly, pre-inspections protect the safety of both the Seller and the Buyer. I could, in fact, uncover a potential disaster waiting for the first opportunity to strike. Since you are likely to remain in the home for a period of time during the transaction process, the discovery of such a problem benefits everyone -- Seller and Buyer. And the sooner the problem is discovered, the less expensive it is (for you) to repair. If you would consider Massachusetts Home Inspections to assist you in turning your home into a Buyer friendly home, you won't regret it. With a Pre-Listing inspection, you'll see the smoothest transaction that anyone could ever experience. I guarantee that you'll see a big improvement in the transaction process over other home sales and all parties involved will experience a worry-free and smooth sale. At Massachusetts Home Inspections, I believe that presentation is enormously important. Buying a home is one of life's most important purchases and how the house looks and feels is crucial. It permits you to make repairs ahead of time so that defects don't become negotiating stumbling blocks later. There's no delay in obtaining the Use and Occupancy permit. You'll have plenty of time to get reasonably priced contractors or yourself (if qualified) to pull permits and make needed repairs. It will alert you of items of immediate personal concern, such as active termite infestation or structural deficiencies. It greatly reduces your liability by adding professional supporting documentation to your disclosure statement and alerting you to immediate safety issues before agents and visitors tour your listing. Resolving home inspection issues can be contentious and even a deal-breaker, but well-informed Buyers and sellers are more likely to coast into a much smoother closing. Everyone involved in the sale will benefit from a PRE-LISTING INSPECTION. 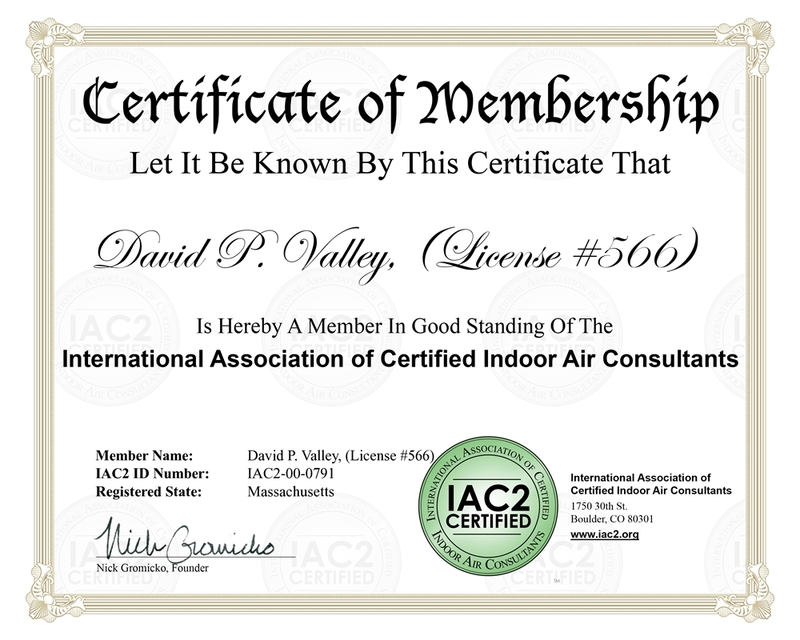 Simply contact me and I will personally arrange a date and time with you to conduct the home inspection. 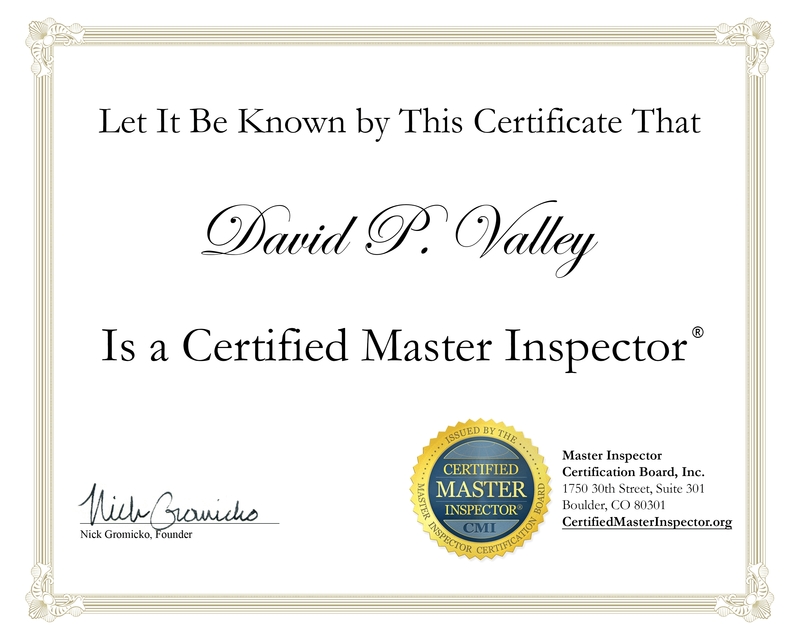 When the inspection is completed, I'll hand you your easy-to-read, easy to understand home inspection report explaining all my findings. You can then decide what improvements may be necessary in order to avoid problems that may arise on the upcoming Buyer's home inspection. If you do not want to make improvements to your home, then my findings can be added into the sellers disclosure. Disclosing those issues "as is" will inform the Buyers (up-front) what their getting into. Your objective is to minimize unpleasant surprises now, so you don't face difficulties later. Your pre-inspection report is your negotiating tool that gives validity to your asking price. It also places confidence in the minds of prospective Buyers', who want to know that they're not jumping into uncertain territory. If your plans include an Open House, my pre-inspection report can be left on the kitchen or dining room table for any potential Buyer to review before making an offer or ordering their own home inspection. I recommend that you place any copies of receipts for maintenance and repairs that were completed on the house right next to my inspection report. This prevents a re-negotiation of the asking price based on some unknown defect(s). Chances are good that a serious prospective Buyer would hire his or her own Home Inspector to conduct an investigation of your home. This is positively acceptable. After all, everyone likes to have their own champion in their corner. Their inspector will comb through the house and locate issues that I had already noted on your report. The Buyer can now compare the pre-inspection report with the findings of their home inspector. These two reports will be somewhat identical (if the Buyers inspector is as thorough as I am) and any issues will be known up front. If everything adds up and both reports are favorable, the Buyer will be much more likely to pay full asking price without a challenge. Now that's what every Seller wants to hear. You as the home owner can relax in the confidence that a major problem will never turn up other than those items that were indicated in my major component inspection report. Please do not hesitate to contact me if you have any further questions regarding a Pre-Sale home inspection before you place your home on the market. 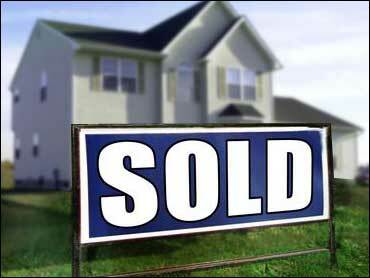 Let's work together and get that "SOLD" sign posted out front of your home in no time.